We are offering our esteemed patrons with sustainable quality Post Box Type Safes at the most comprehensive price range. Money can be put in these unbreakable safes without opening it and are widely acclaimed for their reliability features. Leveraging from 1994, we, Armour Electronics Private Limited have industry experience and high end manufacturing facilities. 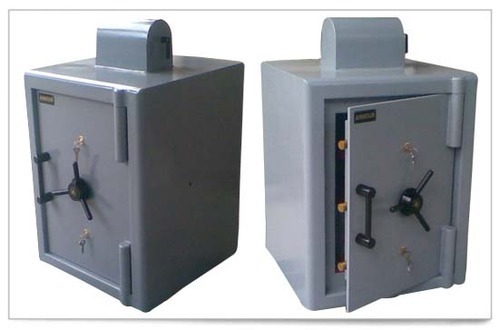 we offer a wide range of electronic safes, standard electronic safes, swipe card safes, biometric safes, electronic safe with digital display, touch screen safes, electronic plus mechanical safes, hotel safes, standard electronics hotel safes, digital display hotel safes, hotel safes, swipe card safes, heavy duty fire resistant safes, fire resistant safe, top loading safes, post box type safes, floor safes, hotel lockers, bank lockers, strong room doors, staff lockers, staff storage locker. further the flawless functioning of our range and their availability at competitive prices has also helped us to capture a huge export market in countries like Middle East, Africa, South East Asia, Europe, North America and SAARC nations.